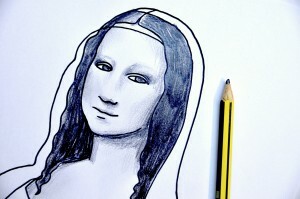 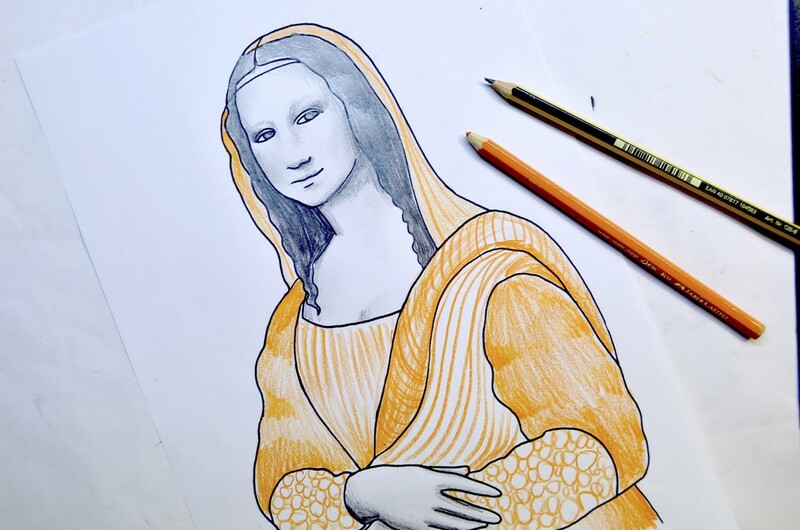 With these worksheets we can play with the famous Mona Lisa by Leonardo. 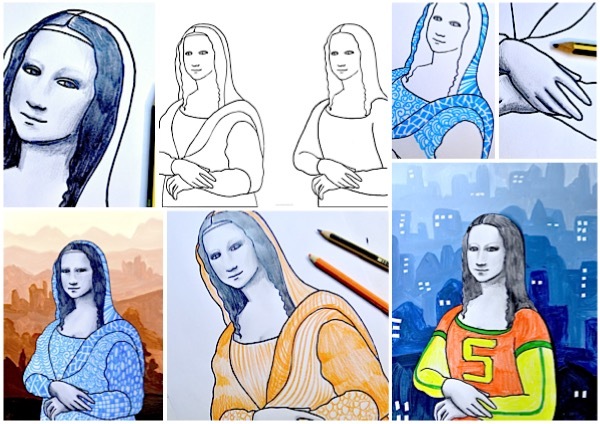 The linear drawing of the most famous portrait in the world is available in two versions: one ancient, like the original, and one contemporary, revised in a modern look. 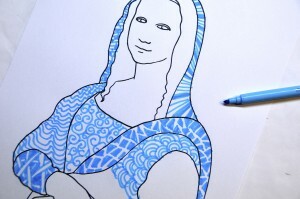 How could you use these worksheets? 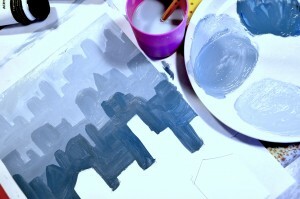 We can color them, invent fabrics and decorations for clothes, realistic or imaginary landscapes for the background. 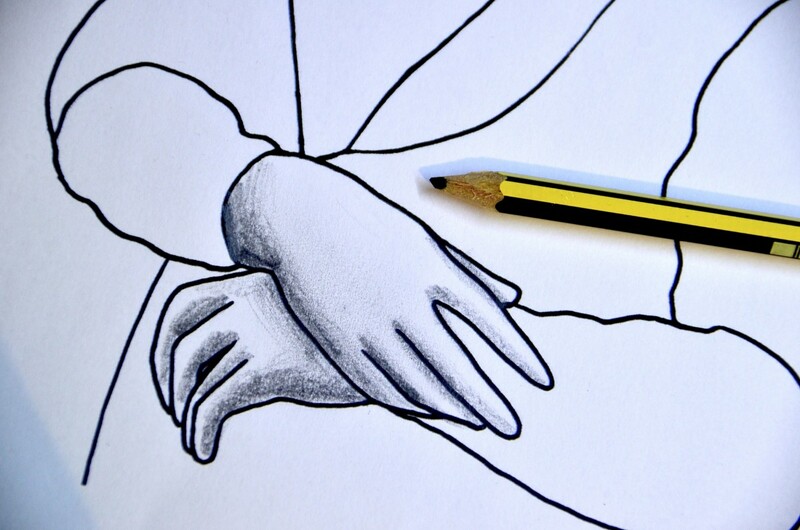 In the proposals that you find below, the shadows of the face and hands are drawn in pencil, imitating the shades from the original Mona Lisa. 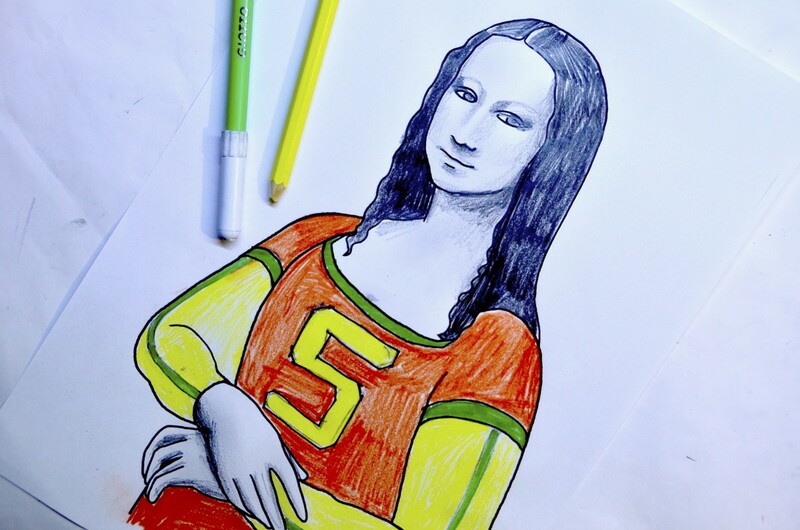 The clothes can be colored with crayons or markers in a fanciful way. 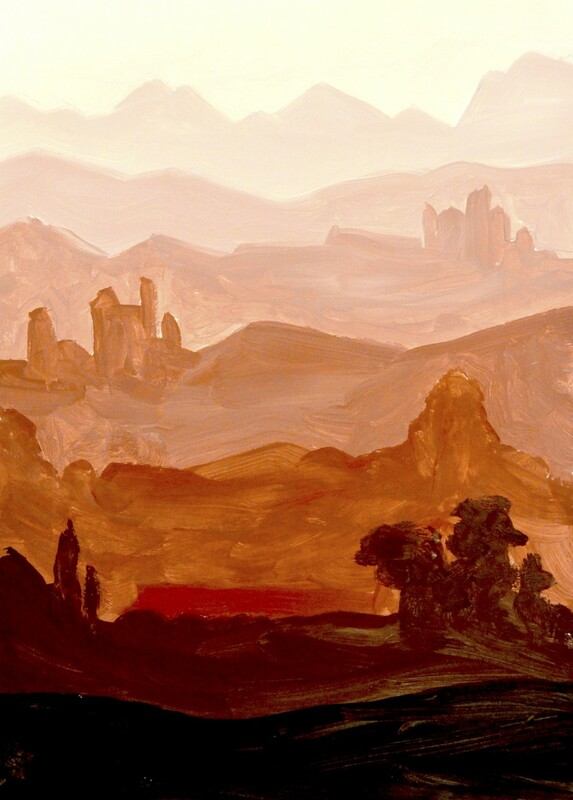 The backgrounds are painted in acrylic paints on a drawing pad, using the technique of tonal gradations which mimics the aerial perspective invented by Leonardo da Vinci. 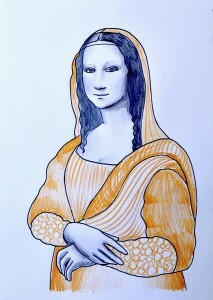 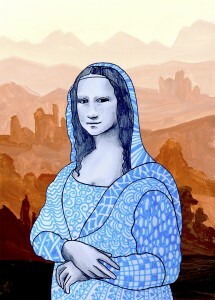 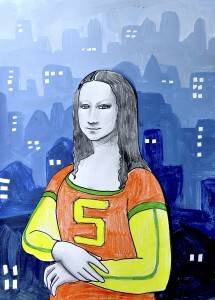 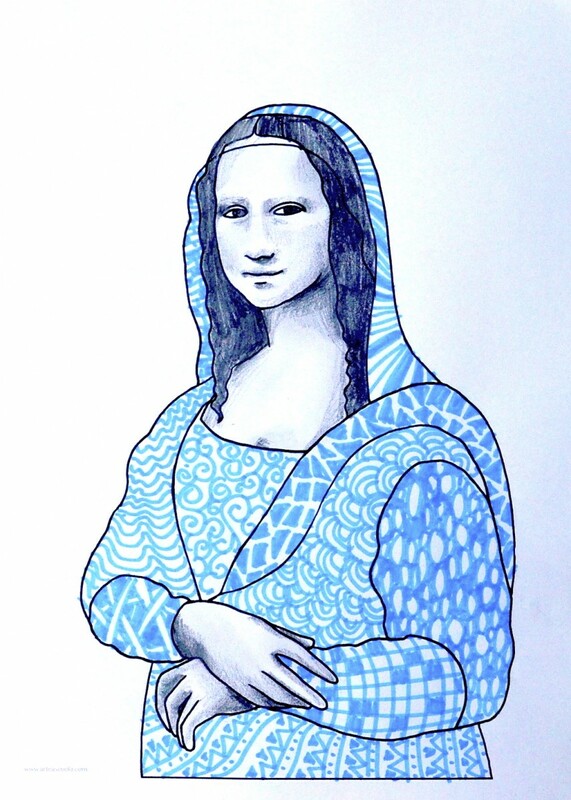 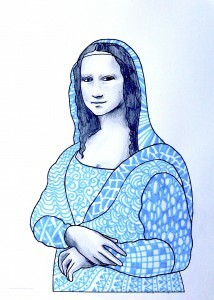 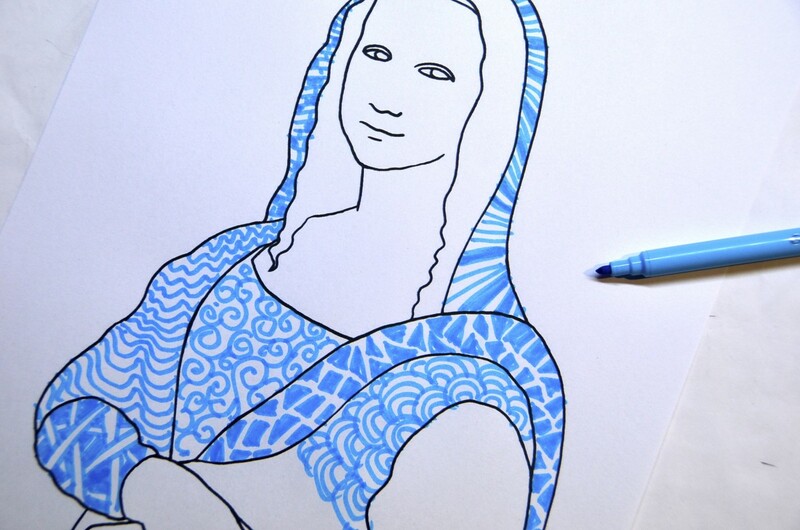 The figure of the Mona Lisa has been cut out from the worksheet and pasted on painted background. 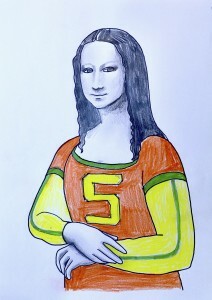 In the first case, we see a Monna Lisa in old style, posing in front of a hilly landscape. In the second case we see a Mona Lisa in a contemporary style, in front to a big city (to see this lesson carried out in class with students of the seventh grade click here).